Kimberly Voll holds a PhD in computer science and is a professor of software engineering and digital media at the Centre for Digital Media in Vancouver, Canada. Her specialities include artificial intelligence, user experience, and game design. 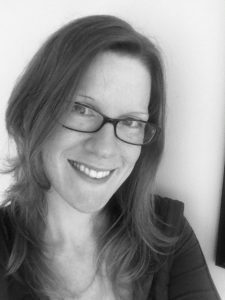 Passionate about game development, Kim runs Full Indie, the local independent games meetup, as well as the Vancouver Global Game Jam. On the side, Kim is a part-time graphic designer, indie developer, and writer. In July, Corona Labs is sponsoring iamagamer, a jam organized by Kimberly that’s based on creating strong, female lead characters in games. Register for iamagamer and support Kimberly’s mission of challenging the industry’s views on strong, female protagonists. While not surprising, Gamasutra’s article on the industry’s reluctance to produce games centred around female characters was shocking in its frankness. Evoking a visceral reaction, the article forces us to stare down a monster: an explicit manifestation of a very ugly side of our world. The risk of looking away? Tacit acceptance. Yet the industry still believes that we won’t buy their games if they have a female protagonist. And worse still, a small, but venomous side of our community exists, choosing vicious attacks over dialogue for people who might step up to point out unfair trends. Something is horribly, horribly wrong. And it’s time to change. So this July, I’m hosting a game jam centred exclusively around strong, female lead characters through a group I’ve started called iamgamer. The idea is simple: games for all, by all. People keep asking why I’m doing this jam, and while there are a million obvious answers, it seems the real question is why the industry is still this way. How have we not overcome this? Why do I need to do this jam? So I started looking inside and what I discovered surprised and scared me: deeper, personal issues that I have not confessed to anyone (even myself) until just now. My hope is that sharing them will help inspire you to look deep inside, too. Why do I need to do this jam, you ask? Because I always picture Sheppard from Mass Effect as male—I chose him because it felt more normal. Because every time I play a game, I choose the male option. That’s why I need to do this jam. Because I feel the need to justify myself as a “real gamer,” hiding that I also play casual games so I’m not labeled “girlie.” (Because I went back and added the word “also” so it was clear I play “real games” too.) That’s why I need to do this jam. Because I look at a woman and assume she’s an artist, not a programmer, for no good reason. I assume that’s what people think of me, so I don’t tell people I’m an artist. I say I’m a developer. Both are true, but I’m ashamed to say only one makes me feel worthy. That’s why I need do this jam. Because I grew up in a world that showed me I was different, and I accepted that. I want a world in which every child sees only possibilities free of the constraints of outdated ideals. A world where we don’t worry what people think if we pick a gender (or no gender at all) in a game. That’s why I need to do this jam. Because when we fail to set positive examples we create a void—invisible, yet conditioning the next generation to accept a broken and unbalanced reality. Individually, we need to shine a critical light on ourselves and the unspoken messages we are sending. It won’t be comfortable and it may mean we are forced to change something inside, the way we talk and joke, the way we view ourselves and others, the way we make games, and that’s hard. That’s why I need to do this jam. Because I’m not a game developer. I’ve made lots of games, and helped people with many more, yet I’m too scared to publish. Because if you catch me late at night, after a couple drinks, I’ll tell you that I’m not good enough. And then I might quietly whisper, “…because I’m a girl.” That’s why I need to do this jam. Because for too long I never thought there was anything wrong at all. That’s why I need to do this jam. Look inside, find something surprising. That’s how change really happens. When we open our eyes together we can change the world. Registration: www.iamagamer.ca (with special thanks to Corona Labs for their support). I don’t disagree that female leads are problematic in the video game industry. But there’s something else too: female enemies are problematic in video games too. If you want to talk about “conditioning the next generation to accept a broken and unbalanced reality”, you have to look at the stuff you currently *don’t* find problematic at all. The number of games that actually contain gender-balanced enemies is a small minority, and it’s mostly restricted to multiplayer games where players compete directly. In single player games, if a player is expected to mow through hordes of enemies, you can be pretty sure it’s going to be mostly men. Ideally they will be wearing a full-face helmet, full body armor and have their voices distorted by radio to further dehumanize them, because such a man is disposable. Even supposedly progressive games like the Last of Us are equal opportunity when it comes to infected zombies, but (un)surprisingly, all of the still-human enemies that talk are all men. So here’s my challenge: if you want to create gender equality in games, stop just focusing on the stars of the action, and look at what they’re teaching about men at the bottom too. We always hear about the Bechdel test… I’d like to propose a counter-test: let’s see how many works of fiction that feature gratuitous violence (i.e. most games), feature violence between two women, without involving a man.